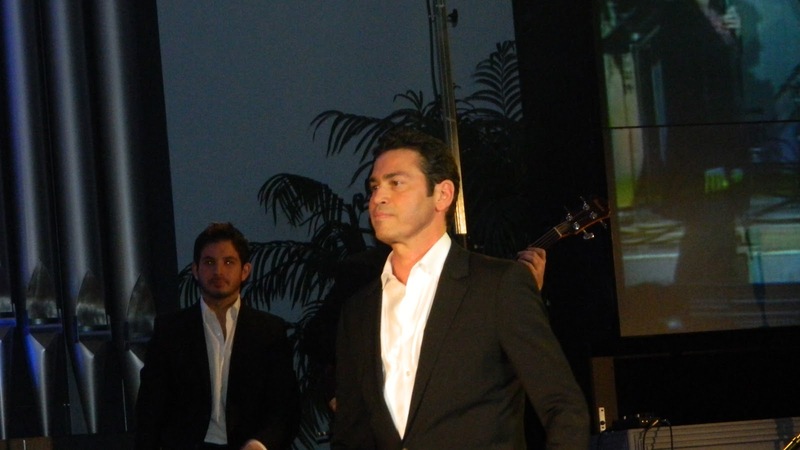 International tenor Mario Frangoulis dance Rojo Violento during a charity concert in Long Island City, New York. 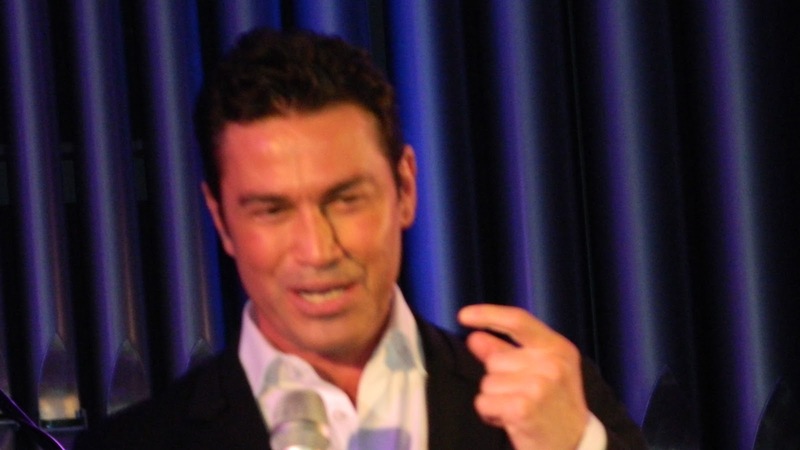 The famous Greek Tenor Mario Frangoulis participated in a charity event in NYC to raise funds for children of Greece. 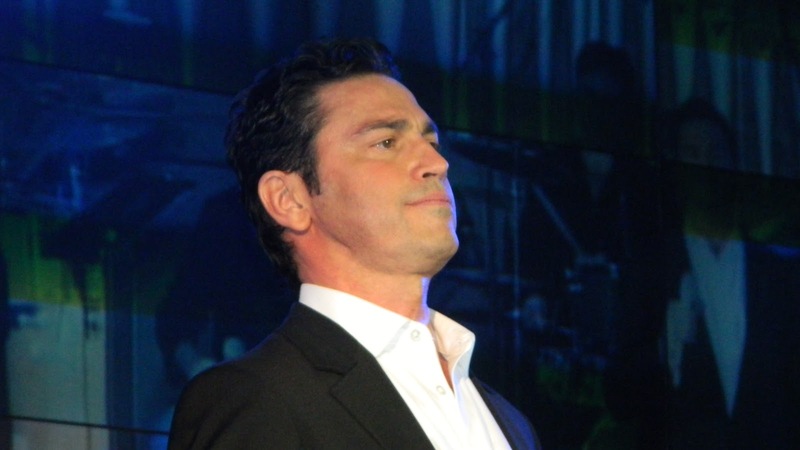 Mario Frangoulis is an international acclaimed Greek tenor with the ability to sing everything from a rock anthem to an operatic aria. He is best known for his song, Vincerò, Perderò. He sings in Italian, Spanish, English, French, and Greek; he is fluent in all 5 languages. 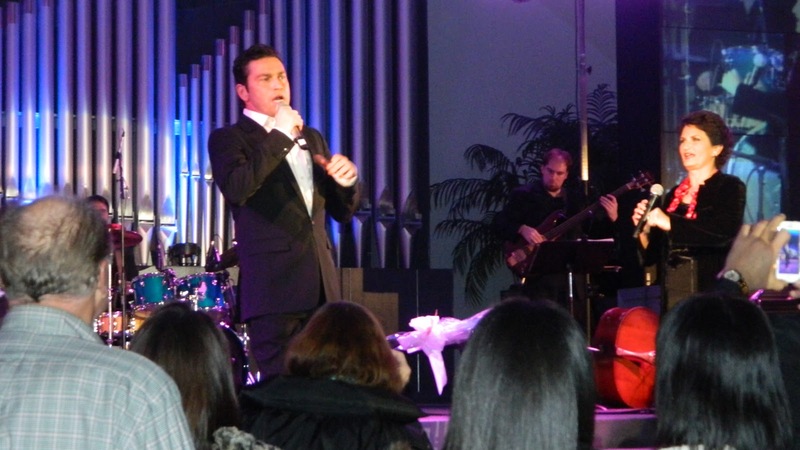 Voices of Greece concert was an evening of Greek `filotimo’ in New York City with the special performance of Mario Frangoulis, Alkistis Protopsalti and special guest George Perris for a one-time charity event to raise funds for children in need in Greece. Greek superstar Alkistis Protopsalti has 26 albums to her name (most of them gold or platinum), and has appeared in thousands of performances over a 35+ year career. Her explosive, dynamic and tender performances captivate and imbue audiences with a powerful Mediterranean touch. Protopsalti is known for supporting charity causes inside Greece that are grassroots and provide support and services to those most in need. Mario Frangoulis, completed this past summer 30 concerts in Greece on a tour called With Open Wings where he presented an all-Greek program and traveled to every corner of the challenged country to engage, inspire, and bring hope to his audiences — reminding them of the great music, culture, poetry, and legacy Greece has to offer ― and asking them to reach out to each other during this time of need, to rekindle the Greek spirit. 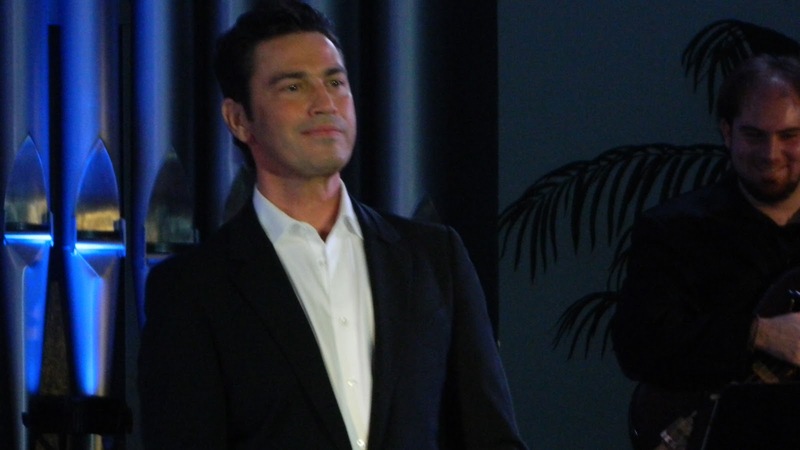 Frangoulis is known for his humanitarian work with the Horatio Alger Association of Distinguished Americans in the United States, and the World Centers of Compassion for Children International in Europe – he is especially committed to children in need. 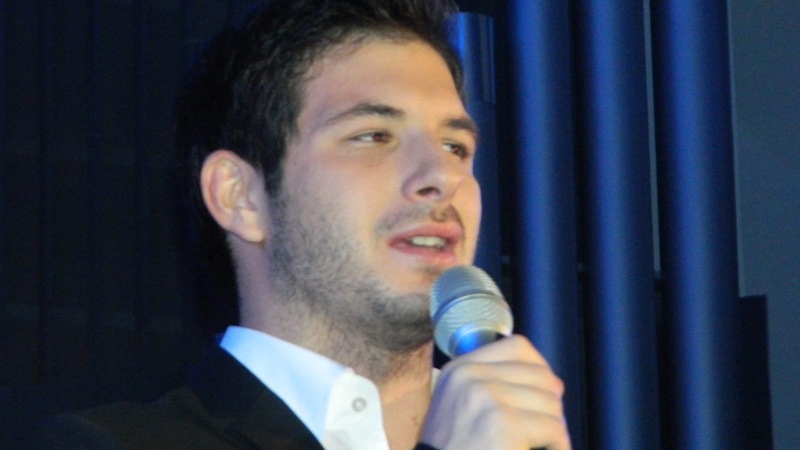 George Perris, an emerging international Greek-French singer who has received significant attention over the last 3 years from artists such as Lara Fabian, and composer Stephan Moccio, sings in 6 languages. 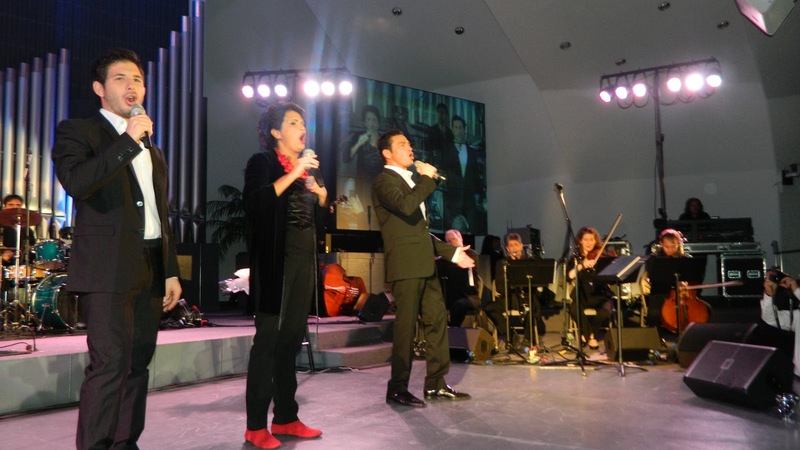 He has traveled the world touring with Mario Frangoulis and has performed with Alkistis Protopsalti on many occasions. He, also is committed to philanthropic causes, and is thrilled to be joining two of his musical mentors on stage for this unique event. The concert was held at the New York Presbyterian Church, Long Island City, NY. “This was a very important event for all of us in Greece and especially now that the new economic laws don’t support Heath Care like before and there are children suffering as a result of this. An initiative of Alma Bank and I congratulate them for their efforts. 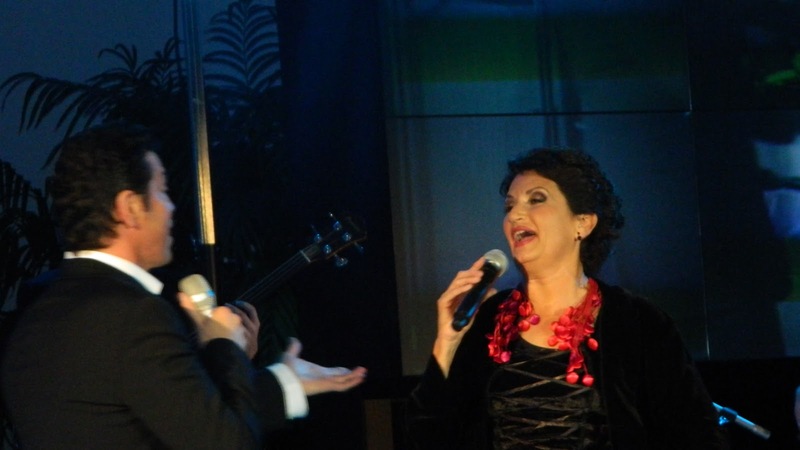 Both Alkistis Protopsalti and myself together with George Perris sang to help our children in Greece”.